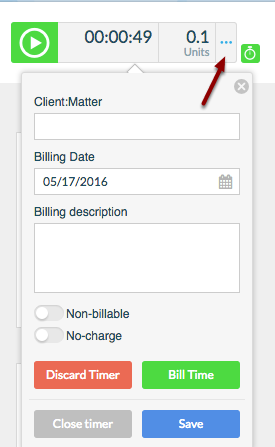 Rocket Matter Knowledge Base Additional Billing Options.How do I run multiple timers. After you enable the Multiple Timers feature in My Account, you can run multiple timer sessions to keep track of multiple activities. 1. Enable the Multiple Timers feature. a. Click "My Profile" to access your Edit User page. 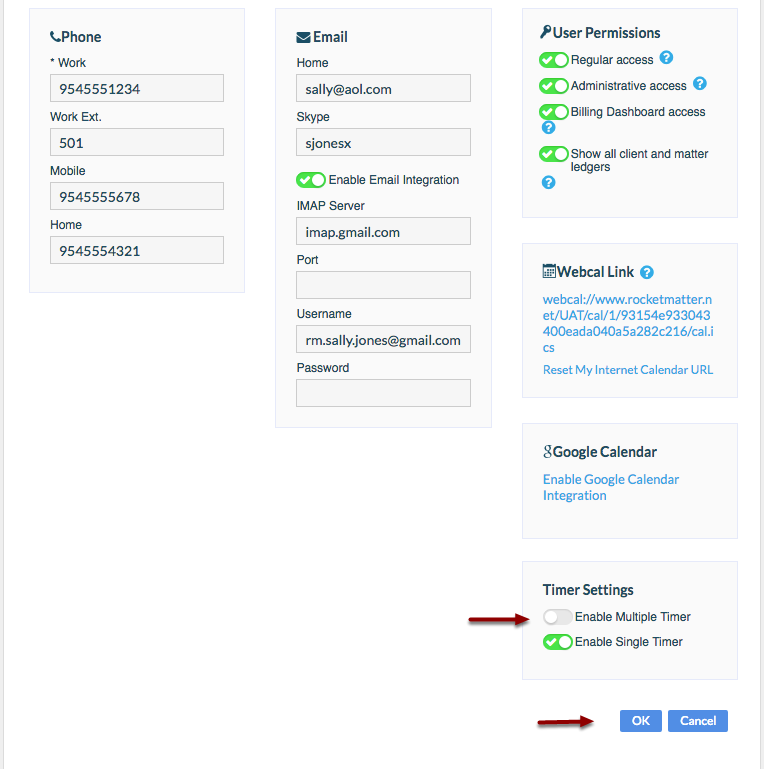 b. Scroll down to view 'Timer Settings', switch on 'Enable Multiple Timer' and click 'Ok' to save. 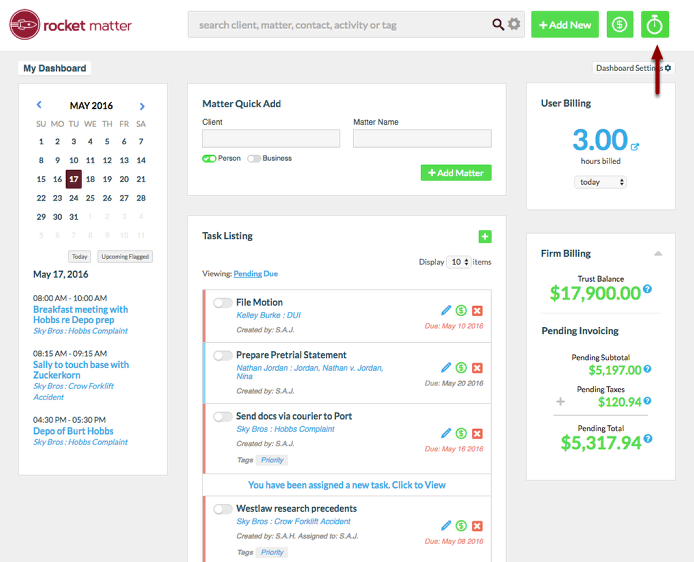 Note: Rocket Matter Administrators can enable Multiple Timers for all Users by applying the Multiple Timer setting in each individual User's profile. 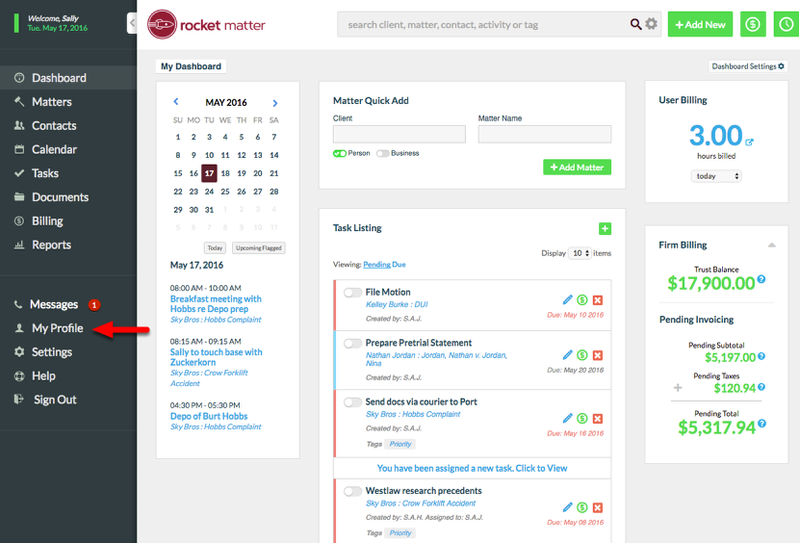 Administrators can access the complete list of Rocket Matter Users by clicking Settings > Manage Users. 2. Create and run your first timer. 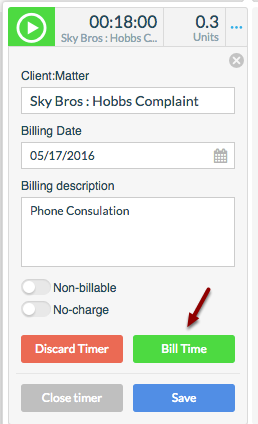 Each Timer opened can be started and stopped, and time can be captured by filling in the billing details when the timer is expanded. Multiple Timers can be opened at the same time. Timers can be open simultaneously, but timers will not track time simultaneously. As one timer is running, the other timers will be paused. b. Start the timer by clicking the "Play" icon. c. Stop or Pause the timer by clicking the "Pause" icon. 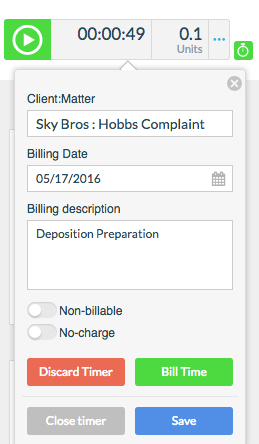 e. Fill in billing information as needed. 3. Open an additional timer by clicking the "Stopwatch" icon. a. Run the second timer by clicking the "Play" button. Additional timers are are denoted in red. b. Click the Timer Menu to view all open timers. c. Only one timer can be running at a time. When all timers are displayed, all available timers are 'paused'. 4. 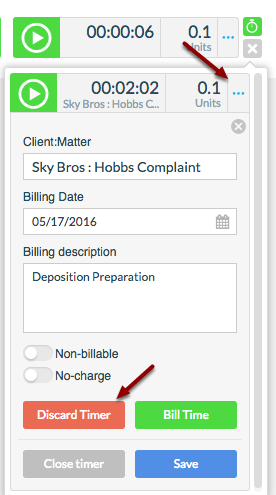 Capture Time from your timer by clicking "Bill Time". 5. Discard a timer by expanding the timer, and clicking "Discard Timer". 6. Additional timer sessions can be added by clicking the "Stopwatch" icon. Next: How to apply taxes to a matter.